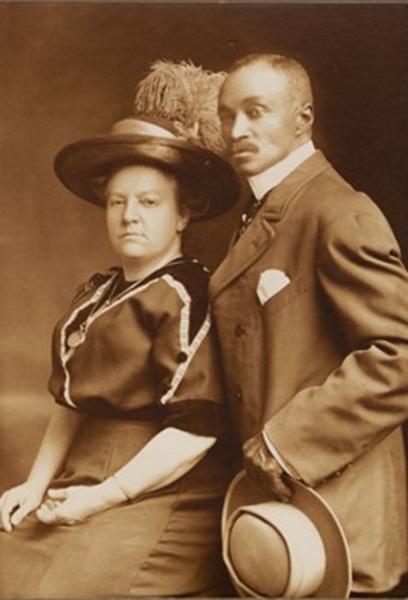 Peter P. Jones, Two Entertainers, Chicago History Museum, Collection of Scotty Piper, IChi-173663. R.D. 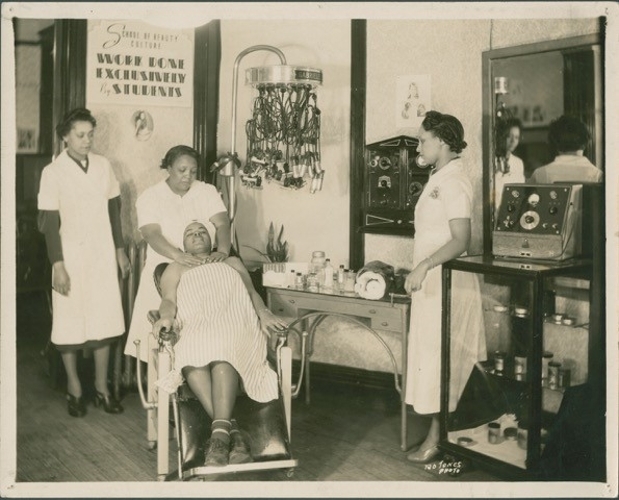 Jones, Joyner’s Permanent Wave Machine , c. 1930. 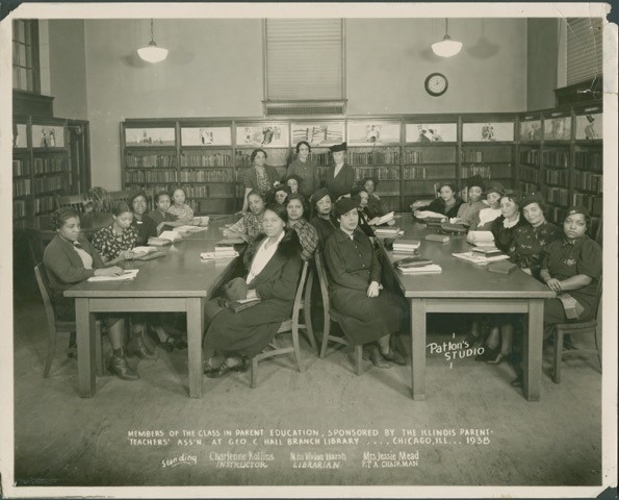 Marjorie Stewart Joyner Collection; Chicago Public Library, Woodson Regional Library, Vivian G. Harsh Research Collection of Afro-American History and Literature. 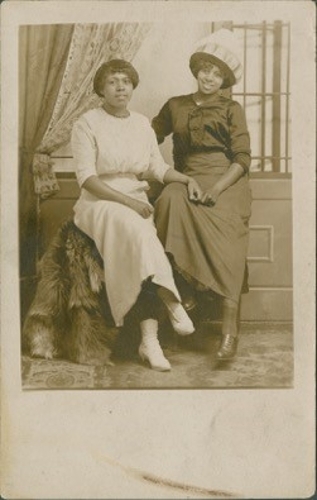 Guishinere Studio, Beatrice Hunter neé Carrington and unidentified sitter, c.1920, McGill Family Papers, Chicago Public Library, Woodson Regional Library, Vivian G. Harsh Research Collection of Afro-American History and Literature. 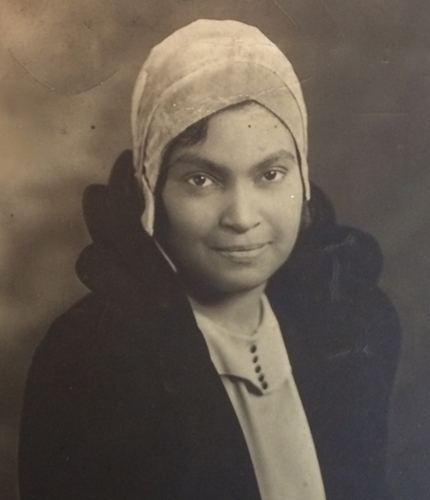 The Museum of Contemporary Photography at Columbia College Chicago will host a multi-tiered academic project led by Amy Mooney, Associate Professor of art history at Columbia College Chicago, on the under-recognized impact of African American commercial photographers working in Chicago from 1890 through the 1930s. 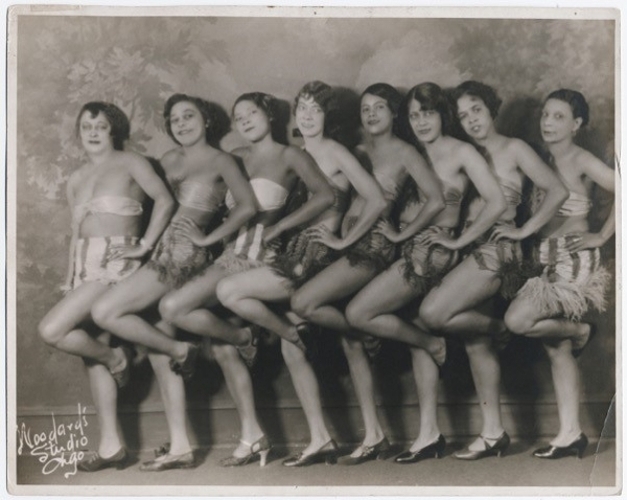 The research project will begin with a public conversation between Amy Mooney and celebrated artist and photography historian Deborah Willis, and also includes a scholarly workshop and two sessions at which the public is invited to share photographs and other pertinent source material. It will ultimately culminate in the creation of a ground-breaking interactive, digital exhibition and publication that will impact the history of photography. Read the press release here. 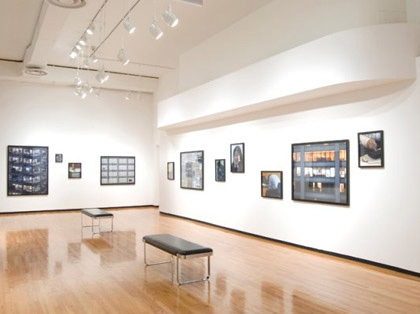 “Say It with Pictures” Then and Now: Chicago’s African American Photographers 1890-1930 is part of Art Design Chicago, an initiative of the Terra Foundation for American Art exploring Chicago’s art and design legacy, with presenting partner The Richard H. Driehaus Foundation.